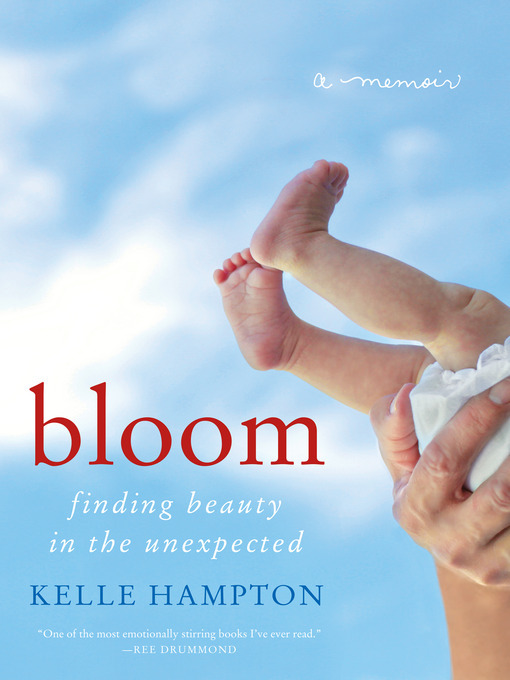 "In her tender and genuinely beautiful memoir, Kelle Hampton encourages us to not simply accept the unexpected circumstances of our lives, but to embrace them like the things we wished for all along." Bloom is an inspiring and heartfelt memoir that celebrates the beauty found in the unexpected, the strength of a mother's love, and, ultimately, the amazing power of perspective. The author of the popular blog Enjoying the Small Things—named The Bump's Best Special Needs Blog and The Blog You've Learned the Most From in the 2010 BlogLuxe Awards—Kelle Hampton interweaves lyrical prose and stunning four-color photography as she recounts the unforgettable story of the first year in the life of her daughter Nella, who has Down syndrome. Poignant, eye-opening, and heart-soaring, Hampton's Bloom is ultimately about embracing life and really living it.